The major difference between Amazon’s Fire 7 tablet and the child-centric Amazon Fire 7 Kids is a kid-proof case. The child version is exceptionally popular among children. Most of the people consider it a device that can be used to play music, games, audiobooks, and videos. Its eight-hour battery back enables people to do a host of things seamlessly. However, over a period of time, many people are found looking for solutions to fix various issues with the tablet. Frequently restart is one of the common things people do with it. Despite all these problems, the love of your child for the tablet never goes down. 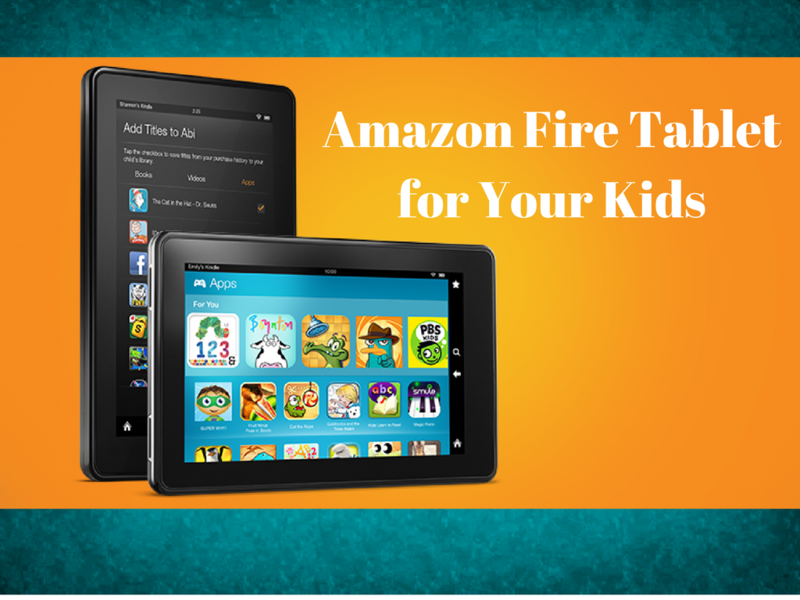 Are your kids happy with the Amazon Fire tablet? Maybe you’re thinking about buying one. Here’s why you shouldn’t, and why existing owners should switch their children onto a real tablet. Let’s look at reasons behind this statement. Buried within the “2x more durable than an iPad mini 4” tablet is a 1.3 GHz quad-core CPU accompanied by 1 GB of RAM. Most smartphones in the market come with 3 GB of RAM. The Samsung Galaxy S8 has 4 GB. Even the Amazon Fire HD8 has 1.5 GB of RAM. Though these are more expensive devices, but 1 GB is completelytrivial for a device that is meant to run apps and games from the Amazon Appstore. There are many titles in the store that calls for more juice. For example, games demand extreme limits and the role of hardware is immensely important. For children, this is truly annoying as they keep pushing the limits while the hardware they’re on is not responsive. With 1 GB of RAM, forget about multitasking as the devices goes too slow. And children under 10 just don’t want to close apps they’re not using. They want to be able to switch back to them in a few minutes when they get bored with game number two or three. Don’t install games or apps bigger than a few megabytes. Don’t download any movies from Amazon. Buy a microSD card and add increased capacity. This is a big shock. Many users have complained that several new games were unable to load. Well, the error message for one was title’s “license expired,” and it blocked the game from running. The only way to come out of this is to connect to internet and that too is not easy as it seems. For children, this makes no sense as the device is meant to support smoother functioning of games anytime.